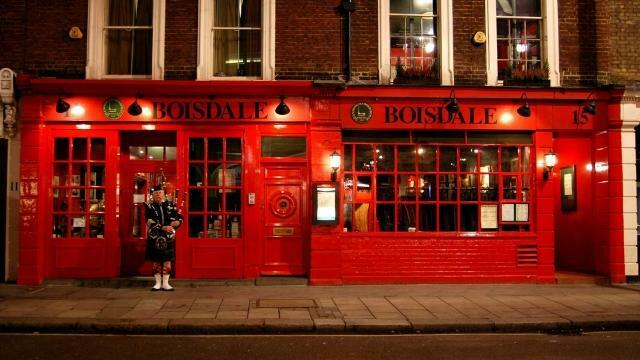 Boisdale of Belgravia, London's best-loved shrine to all things Scottish, is located next to Eton Square, a short stroll from Victoria Station. The Restaurant serves the greatest 36-day dry-aged Aberdeenshire beef in London and in the Macdonald Bar you will find one of the world's finest selections of malt whiskies and Cuban cigars. 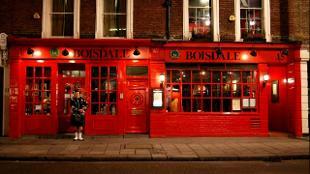 Every night live world-class classic jazz and blues are performed at Boisdale. Adjoining the restaurant is the Courtyard Garden with a retractable roof for al fresco dining in summer and the Back Bar serving a good selection of draft ales. The Cigar Terrace is completely covered and on the first floor roof with sofas, armchairs, and cushions as well as overhead heaters and tartan rugs for the winter. The Jacobite Room is a richly paneled room ideal for private lunches and dinners and has plasma screen and conference call facilities. Is Boisdale of Belgravia your business?